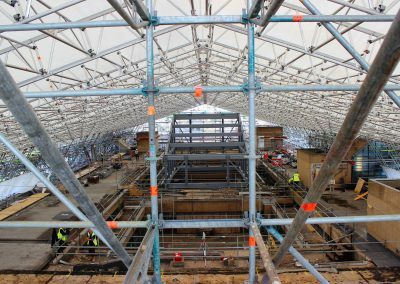 A major Layher Keder XL temporary roof structure –the largest to date in Europe – has been installed for a prestigious refurbishment project at the University of Cambridge. 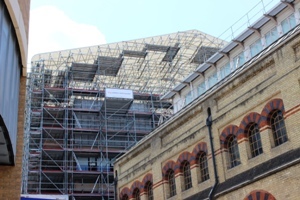 The roofing system, together with Layher’s Allround access and support scaffolding, was built by Connect Scaffolding for main contractor Kier Construction as part of the extensive upgrade work being undertaken on the ARUP Building Museum of Zoology. 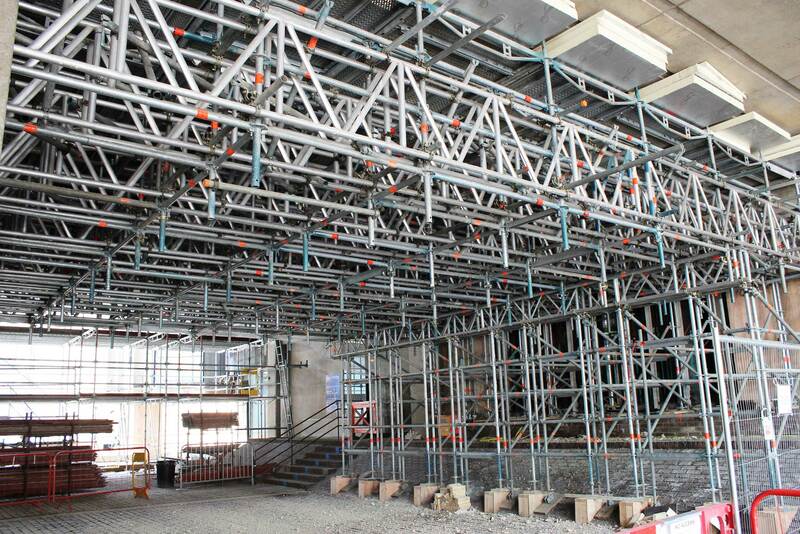 Because the Allround system is built from lightweight materials and features built-in rosette connectors, the number of components is minimised – a significant benefit in terms of safety, particularly in such an occupied location. 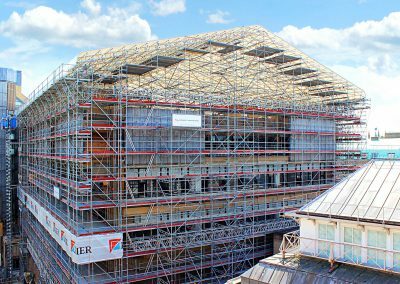 “This is also an important factor with the Keder temporary roof because the entire structure had to be assembled by hand from a wide-stepped gable,” adds Simon Lewis, Senior Design Engineer at Layher. 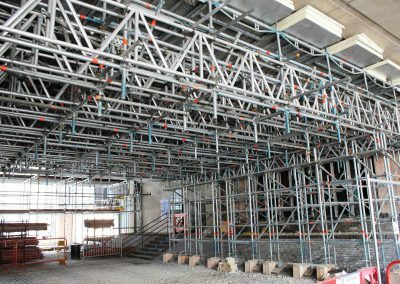 “Roof truss components were raised by one of three Geda Hoists and fixed in position at one gable end, before being rolled out on nylon wheels set on a scaffolding track to create space for the next truss to be assembled. 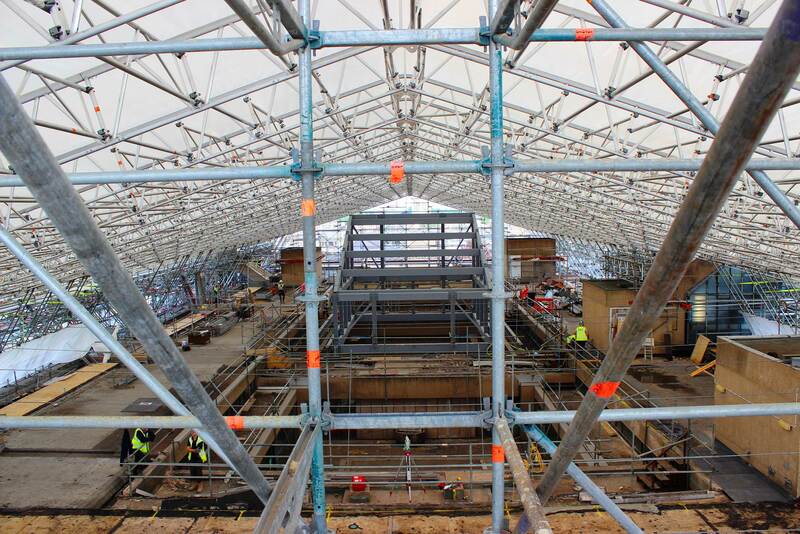 Once fully installed, the Keder XL sheeting was then pulled across the roof one bay at a time to complete the structure with the result providing protection from the weather and a naturally-lit working environment.” Simon Lewis also highlights the innovative design of specialised tie transfer beams and tie collars, which have been used specifically to tie the roof system to the RC columns every 11 metres. 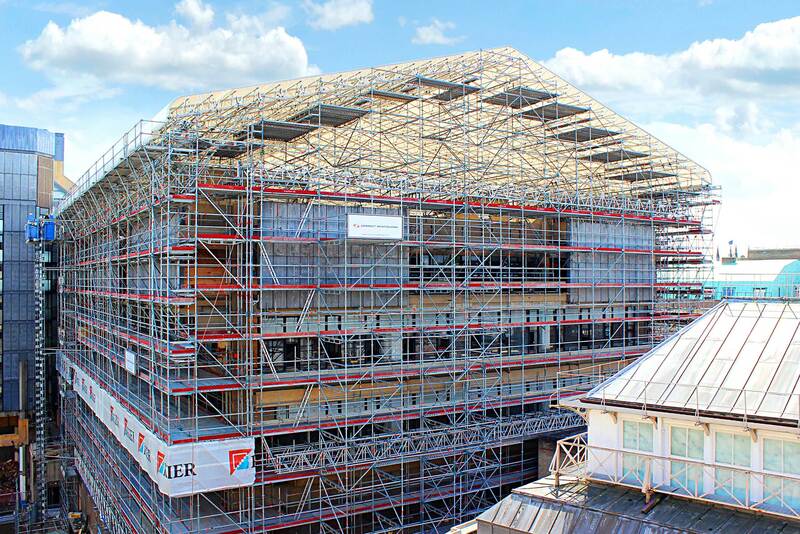 The versatility of the Layher Allround system is further demonstrated by the fact that, in selected areas, it is built off steelwork that was also installed by Connect Scaffold as a primary support. This was undertaken as an additional safety measure relating to the location. The project also incorporated access for extensive internal works, including a crash deck, which can be readily adjusted as the project proceeds. 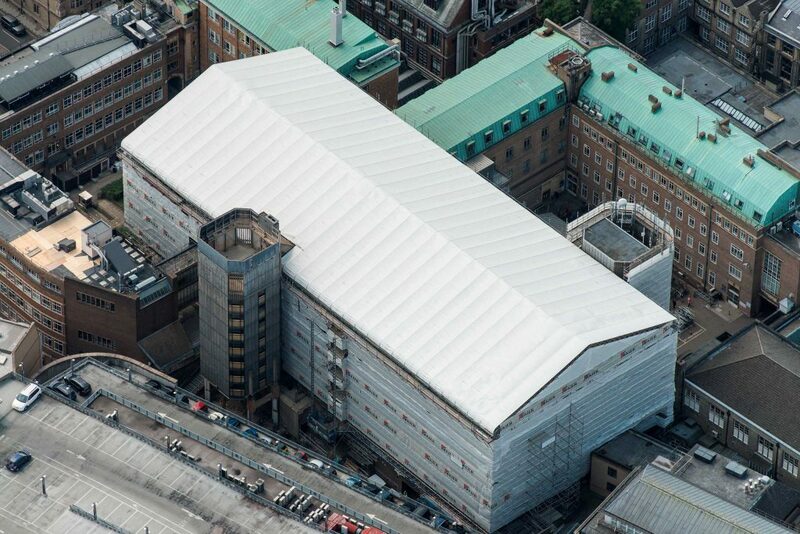 “This is an excellent demonstration of the suitability of our Allround scaffolding and Keder XL temporary roofing systems being used – both for a highly prestigious project and also in an area where access and operational considerations need to be accommodated,” adds Sean Pike, MD at Layher UK. 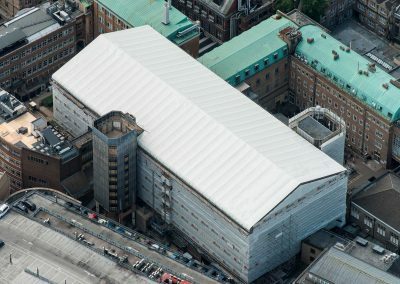 “It is a high quality installation for an iconic 1960s’ building of significant importance – the zoology museum, for example, houses many of Darwin’s specimens – and we are delighted to have been involved at such an important and well regarded location,” he concludes.